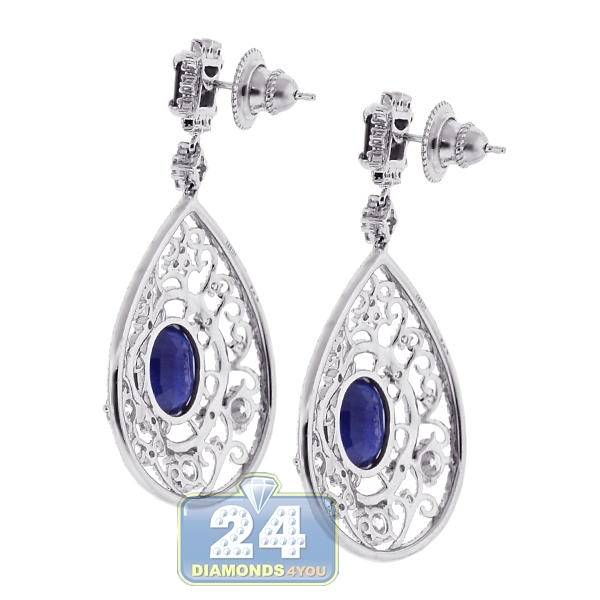 Our magnificent pair of gemstone dangle earrings shimmers with real sparkle and flair! 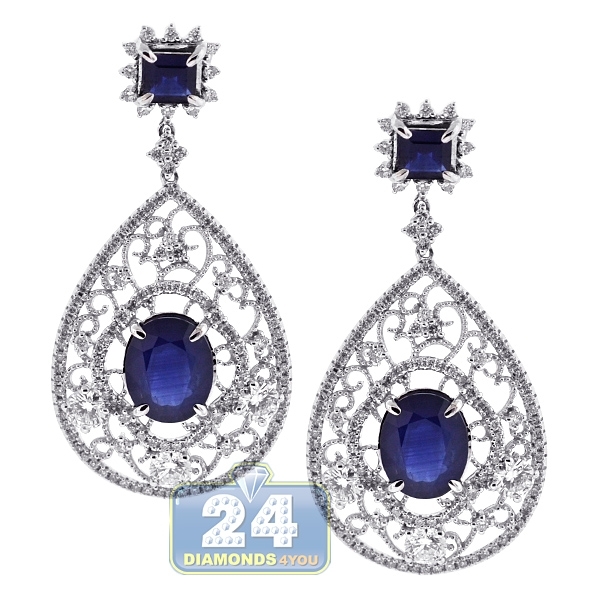 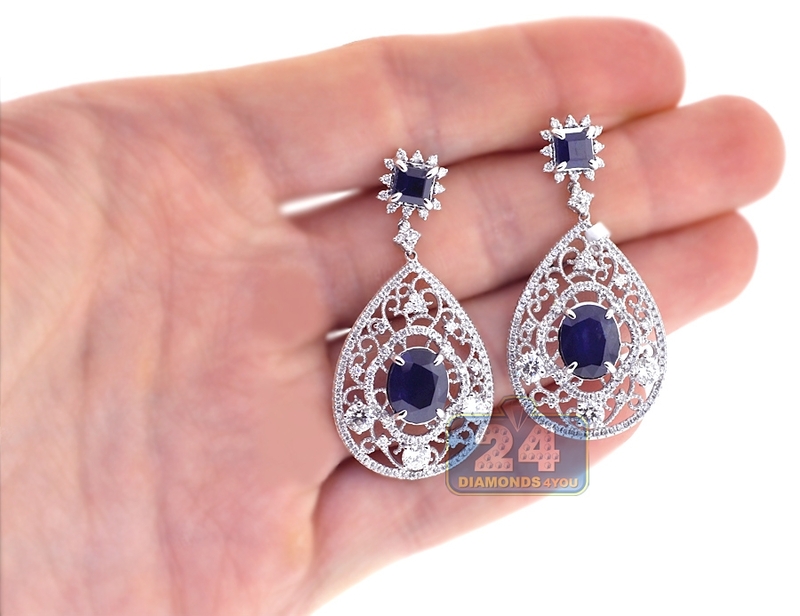 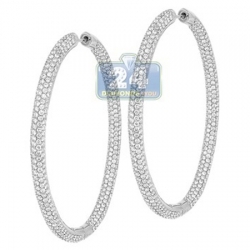 They are professionally handmade of cool 18k white gold; and encrusted with 7.61 carats of genuine oval-, princess-cut blue sapphires, and 3.04 carats of icy white round brilliant-cut diamonds. Perfect choice for your next special occasion!